The Zinzendorf brothers, in this gorgeous and fascinating tome, bring ancient knowledge to a generation who barely knows how to use a needle and thread. Flax has been used for centuries, not only as a source of food, but as the raw material for linen, the strands having unique properties, for thread both soft and strong. 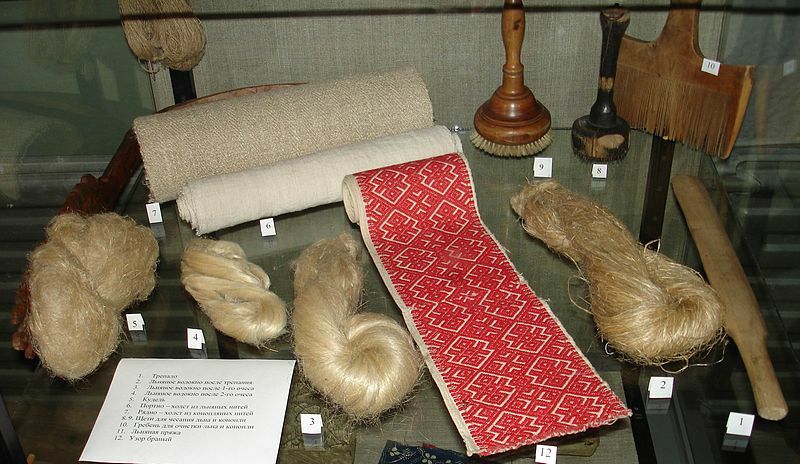 Linen, wrinkling easily, is not as popular a fabric as it once was, but the rough homespun version was everyday work wear for peasants and farmers, while a finer weave showed up on the tables and backs of nobles and royalty. 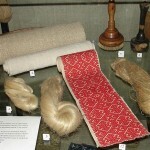 Flax was a large part of the economy in many places, even less than a century ago. 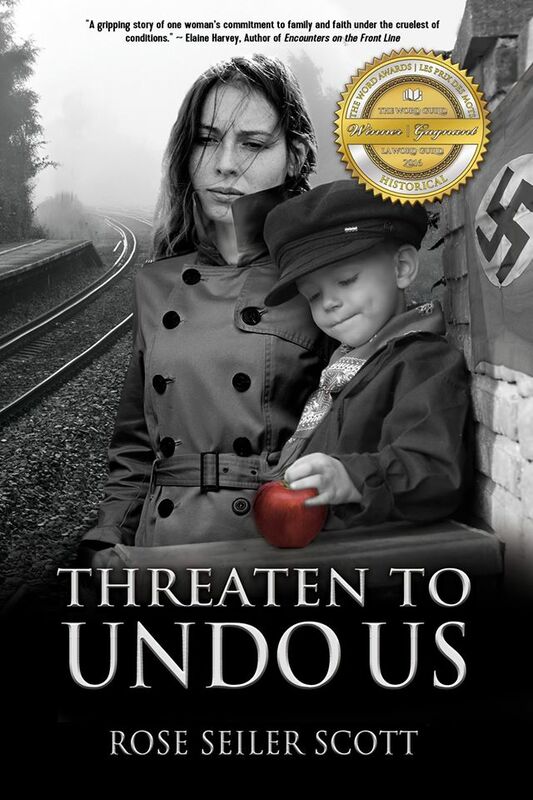 I was enthralled to read this book, because my grandmother spun, wove and sewed linen suits for her boys and I was curious as to how that all happened. I can only imagine how she found the time to spin, weave and sew, in addition to other farm chores and raising children. Oh yeah, no cell phone, TV or computer! Plus, she didn’t have to go to the gym. The production of flax was a workout, rivalling Zumba®, yoga and marathon running rolled into one. Part of the process involves beating the flax stems senseless, in order to break the outside straw and release the strands inside. Ever heard of “flagellation?” That is why the tool used is called a flagell. A great deal of detail on the various tools used for retting, breaking, scutching and combing is documented in the Big Flax Book. Most of the tools were handmade and unique depending on the stature and preference of the person using it and the style of flagells and spinning wheels also varied by region. If you are an antique buff, these items can occasionally be found in old attics and barns, especially in Pennsylvania where the authors make their home. After that there was the spinning. For most of us, spinning and spinning wheels is the stuff of fairytales. Sleeping Beauty and Rumpelstiltskin come to mind and the Zinzendorfs delve into this folklore too. Spinning was work, cleverly disguised as entertainment. What was the spindle, but an early handheld device? You couldn’t text on it, but you didn’t need to, because your mother, sisters and grandmother were right across the room, spinning and weaving too and you could actually talk to them, or even better, sing with them. A number of spinning tunes and lyrics are in the book, proving that it was possible to live without youtube and itunes. After the Second World War this domestic servitude scene changed, as manufactured clothing and fabric came into wide use. 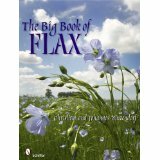 Flax has only recently regained prominence as a crop. If you are even a little interested in the history, production and overall amazingness of the flax plant, I would highly recommend this book!